FIBARO Door/Window Sensor is a wireless, battery powered reed sensor compatible with the Z-Wave standard. Changing the device’s status will automatically send signal to the Z-Wave controller and associated devices. Sensor can be used to trigger scenes and everywhere there is a need for information about opening or closing of doors, windows, garage doors, etc. 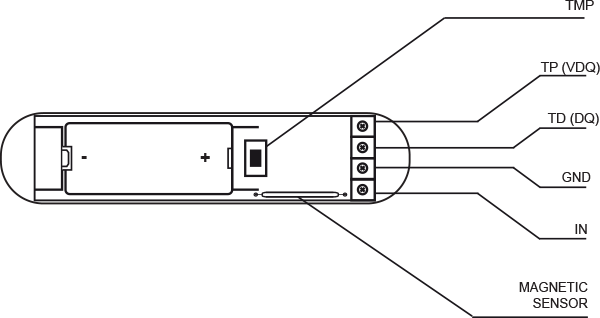 Opening is detected by separating the sensor’s body and the magnet. In addition the FIBARO Door/Window Sensor supports one DS18B20 temperature sensor and has one potential free input. Remove „I’m ready” paper stripe protecting the battery from discharging. Install the device in desired location using the attached self-adhesive pads. Wake up the Sensor by triple clicking the TMP button. 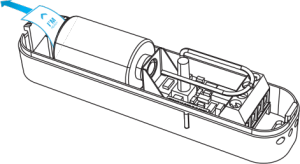 Install the magnet in relation to the Sensor's body, as shown in figure below. Otherwise, detection of opening/closing will be impossible. Correct relation of the Sensor and the magnet is marked on the casing. 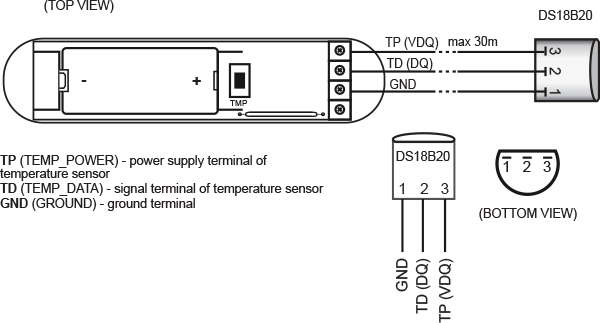 The DS18B20 temperature sensor may be installed anywhere where temperature readouts are necessary. If adequately protected, the DS18B20 sensor may be installed in humid conditions, under water, sealed in concrete or placed under the floor. Connecting devices and sensors other than DS18B20 is not allowed. Connect the temperature sensor according to figure below. Add the device as described in Adding to the network. Connecting/disconnecting the temperature sensor to/from previously added Door/Window Sensor, requires removing and re-adding the device to the Z-Wave network. 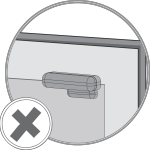 Door/Window Sensor is equipped with potential-free input. It allows to change device state using the external switch or sensor through GND signal. If the Door/Window Sensor will be used only as a binary sensor, do not install the magnet. 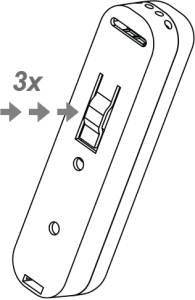 Connect the switch according to figure below. Set advanced parameter no. 1 to 1. The antenna should be placed above the battery. Never cut, shorten or bend the antenna. 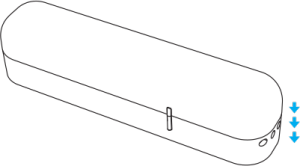 Its length is suited to the band at which the system functions. Metal surfaces in close vicinity (e.g. metal switch boxes, metal door trims) may impair the reception capability. Make sure the maximum range has not been exceeded and there are no obstacles along the signal path containing metal surfaces. Make sure the device is not in the adding/removing/update mode. Place the device within direct range of the Z-Wave controller. Make sure that Sensor’s cover is closed. 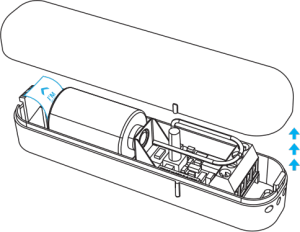 Find the TMP button located on the underside of the device, which allows for proper inclusion. Set the main Z-Wave controller into the learning mode (see main controller’s operating manual). Quickly, triple click the TMP button. Adding/removing will be confirmed by LED blinking. Fast blinking means that the inclusion process has not been successful. FIBARO Door/Window Sensor has two TMP buttons: inside and underside the casing. Both buttons must be pressed simultaneously to trigger tamper functionality. Removing Flood Sensor from the Z-Wave network restores all the default parameters of the device. Place the device within the direct range of the Z-Wave controller. Set the main Z-Wave controller into adding mode (see main controller’s operating manual). FIBARO Door/Window Sensor needs to be woken up to receive information about the new configuration from the controller, like parameters and associations. To wake up the sensor manually triple click the TMP button located underside the casing. Release the TMP button within 5 seconds. Visual indicator will blink 3 times to confirm launching of reset procedure. Wait around 30s for the resetting process to end, do not remove the battery. Visual LED indicator will blink 6 times to confirm the reset. Take off the Sensor’s cover and remove battery. Make sure the TMP button is intact. Touch the Sensor’s body with a magnet. Within 2 seconds remove the magnet from the Sensor’s body, the LED will turn off. Wait 3 seconds until the LED starts blinking. Reset will be confirmed by LED blinking. After adding the Sensor to FIBARO system, it will be represented by one or two icons in Home Center interface. 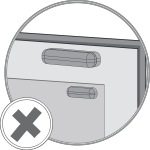 Sensor used without a DS18B20 sensor, or used with a switch connected to IN input (without magnet), will be represented by a single icon. If a temperature sensor icon is not displayed despite the fact the sensor itself has been connected, or if the temperature readings are incorrect, inspect the connection between sensor outputs and the line and the total length of the bus wire which should not exceed 30m. Then repeat the inclusion procedure. 1st Association Group – “Lifeline”: reports the device status and allows for assigning single device only (main controller by default). 2nd Association Group – “Control”: is assigned to the device status – reed sensor and IN input (sends Basic Set command frames). 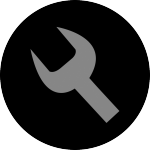 3rd Association Group – “Alarm”: is assigned to the device status – reed sensor and IN input (sends alarm command frames). Its value may be modified via advanced parameters. 4th Association Group – “Sensor ZW3”: is assigned to the device status – reed sensor and IN input (sends Basic Set command frames). This group provides backward compatibility with controllers not supporting Z-Wave+. 5th Association Group – “Tamper ZW3”: is assigned to the TMP switch (sends alarm command frames). This group provides backward compatibility with controllers not supporting Z-Wave+. The Door/Window Sensor in 2nd to 5th group allows to control 5 regular and 5 multichannel devices per an association group, with the exception of “LifeLine” that is reserved solely for the controller and hence only 1 node can be assigned. 1st Association Group is assigned to input IN1 (and the magnetic sensor). Sending BASIC SET or ALARM command frames. 2nd Association Group is assigned to TMP button. 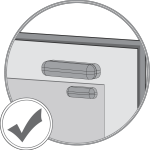 Once the button is released, ALARM GENERIC frame is sent to associated devices. 3rd Association Group reports the device status and allows for assigning single device only (the main controller by default). FIBARO Door/Window Sensor allows for controlling 5 regular and 5 multichannel devices per an association group, out of which 1 field is reserved for the Z-Wave network main controller. FIBARO Door/Window Sensor allows to customize its operation to user’s needs. The settings are available in the FIBARO interface as simple options that may be chosen by selecting the appropriate box. The Door/Window Sensor will wake up after each defined time interval and always try to connect with the main controller. After a successful communication attempt, the sensor will update configuration parameters, associations and settings and will go into standby mode. After failed communication attempt (e.g. lack of Z-Wave range) the device will go into standby mode and retry to establish connection with the main controller after the next time interval. Setting wake up interval to 0 disables sending Wake Up Notification frame automatically. Wake up may be still performed manually by a single TMP button click. Parameter defines device operation mode. Parameter defines state of the sensor when the magnet is close. If the alarm sensor is connected, it determines the output type. Parameter inactive in external button mode (parameter 1 set to 1). Allows to enable activation of Z-Wave range test with double click of a TMP button. Parameter defines events which result in sending on/off commands to devices added to the 2nd association group. These commands are sent alternately to switch the devices on and off. Commands represent the values of BASIC SET command frames. Parameter is inactive in external button mode (parameter 1 set to 1). Command frames sent to devices added to the 2nd association group. The value of 0 turns OFF the device, 255 turns it ON. In case of associating the Dimmer or Roller Shutter module, values 1-99 allow to set an associated device to a specified level. Time period after which ON command frame will be sent. Time period after which OFF command frame will be sent. Type of control frames transmitted to the main controller and 3rd association group “Alarm”. If an external sensor is connected to IN input, it is possible to choose its functionality. Otherwise it is recommended to set this parameter to default value. Reporting cancellation of tamper alarm to the controller and 5th associationgroup. This parameter determines how often the temperature reports will be sent to the main controller. Temperature alarms reported to the Z-Wave controller. Thresholds are set in parameters 55 and 56.. If temperature is higher than set value, overheat notification will be sent and high temperature scene will be triggered (if activated). If temperature is lower than the set value, underheat notification will be sent and low temperature scene will be triggered (if activated). The device can trigger scenes using scene IDs assigned to different events. To deactivate all scenes set the value to 0. To activate all scenes set the value to 3903. Settings for broadcasting ON/OFF commands, sensor alarm and tamper alarm. Value other than 0 means alarms are sent in Broadcast Mode, to all devices only within the range of the device. They are not repeated by the mesh network. FIBARO Door/Window Sensor will wake up at each defined time interval and always try to connect with the main controller. After successful communication attempt, a sensor will update configuration parameters, associations and settings, and then will go into standby mode. After failed communication attempt (eg. lack of Z-Wave range) the device will go into standby mode and retry to establish connection with the main controller after the next time interval. Setting wake up interval to 0 disables sending Wake Up Notification frame automatically. Wake up may be still performed manually by triple clicking the TMP button. Additional delay after an alarm from input IN has ceased. The parameter allows user to specify additional time, after which the input IN alarm is cancelled once its violation has ceased. 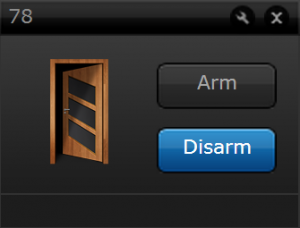 In case of alarm frames an alarm priority is specified. Value of 255 makes it possible to activate a device. In case of the Dimmer module it means activating the device and setting it to the previously stored condition, e.g. when Dimmer is set to 30%, deactivated and then reactivated using 255 commend, it will be automatically set to the previous condition i.e. 30%. It allows for disabling the function of deactivating the device and cancelling alarms for devices associated with IN input. The parameter cancels alarms only. Information on alarm violation or activation commands for devices from association groups are always sent. 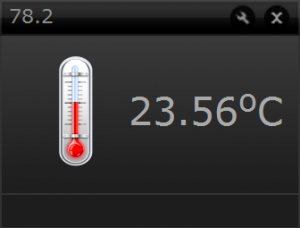 The maximum acceptable difference between the last reported temperature and the current temperature read from the sensor. If the temperatures differ by the set value or more, a report with the current temperature value is sent to the device assigned to association group no. 3. – if the wake-up interval is set to over 255, temperature report will be sent each ca. 4 minutes. The frame is sent in “broadcast” mode, i.e. to all devices within range – information sent in this mode is not repeated by the mesh network. If the “broadcast” mode of information transmission is activated for a given channel, then transmission of information in “singlecast” mode, i.e. to devices assigned to the association group, for this channel is deactivated. Controllers such as the Home Center 2 are able to interpret such commands and based on these commands activate scenes, to which specific scene IDs have been assigned. The user may expand the functionality of a button connected to IN input by distinguishing the sequence of it being pushed. For example: double click would trigger the “goodnight” scene and triple click would trigger the “morning” scene. To fully use the possibilities offered by the parameter no.14 it is recommended to use a momentary or a toggle switch (parameter no.3). Scene activation functionality may shorten the battery life, even by 25%. The parameter value is automatically sent to the association group III if the connected sensor DS18B20 four times mistakenly read the temperature. In case of Wake Up Interval set for 4000 seconds temperature sensor will be checked every 5 minutes. 1. What is a FIBARO Door/Window Sensor? The FIBARO Door/Window Sensor is a wireless, battery powered, Z-Wave compatible reed sensor. Each time its two parts, i.e. the sensor’s body and a magnet separate, a radio signal is sent. In addition the FIBARO Door/Window Sensor supports one DS18B20 temperature sensor and has one potential free input. The FIBARO Door/Window Sensor is designed for use with scenes in home automation systems, alarm and surveillance systems and everywhere else where information related to opening/closing of doors, windows, garage gates, etc. is needed. 2. Should I close the cover of the device while adding it to my network? Yes. The plastic cover should be closed all the time. 3. Why does the device have two TMP buttons? They are not two separate switches. It is only one switch with two buttons. 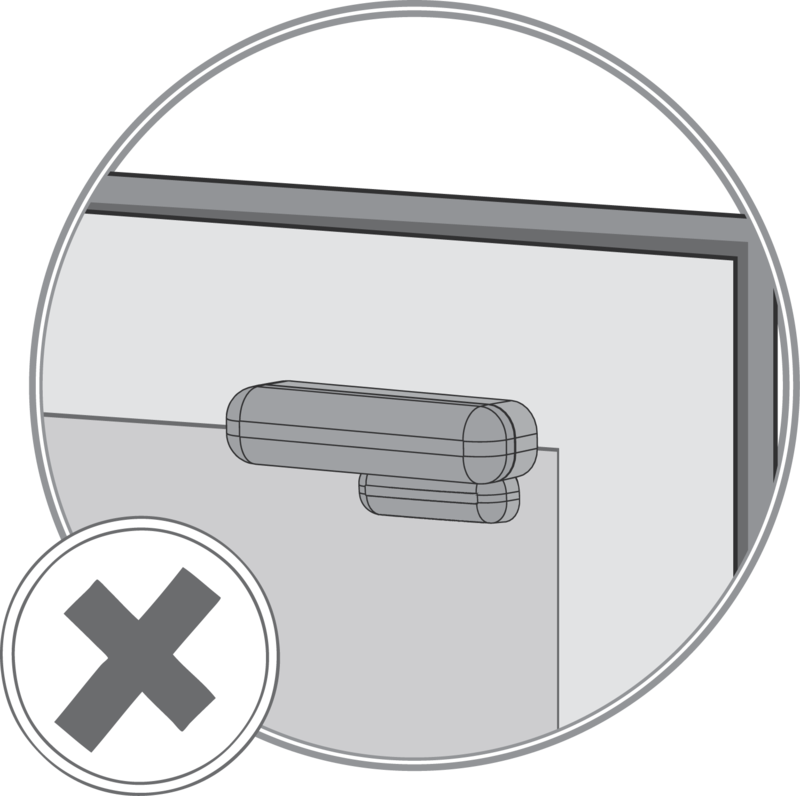 To activate the switch both buttons should be pushed at the same time, so in this case plastic cover should be closed. 4. Does this device have controlled outputs? No, there is no an output module. 5. Can I use both magnetic and IN input? Not at the same time. When using IN input do not use magnetic input. 6. How many temperature sensors DS18B20 can I connect to Door/Window sensor? Only one DS18B20 temperature sensor can be connected to the Door/Window Sensor. 7. I would like to connect other 1-wire devices than DS18B20. Can I do it? No, only DS18B20 is compatible with FIBARO Door/Window Sensor. 8. Can this module repeat other Z-Wave devices’ signals? No, this is a battery device so it cannot be a repeater. However it can send the signal which will be repeated by other nodes (up to 4 nodes). 9. Does resetting the module memory also removes it from controller’s memory? No, resetting the module procedure removes only controller’s ID from the module but not module from the controller. 10. I want to remove the module completely. What should I do? 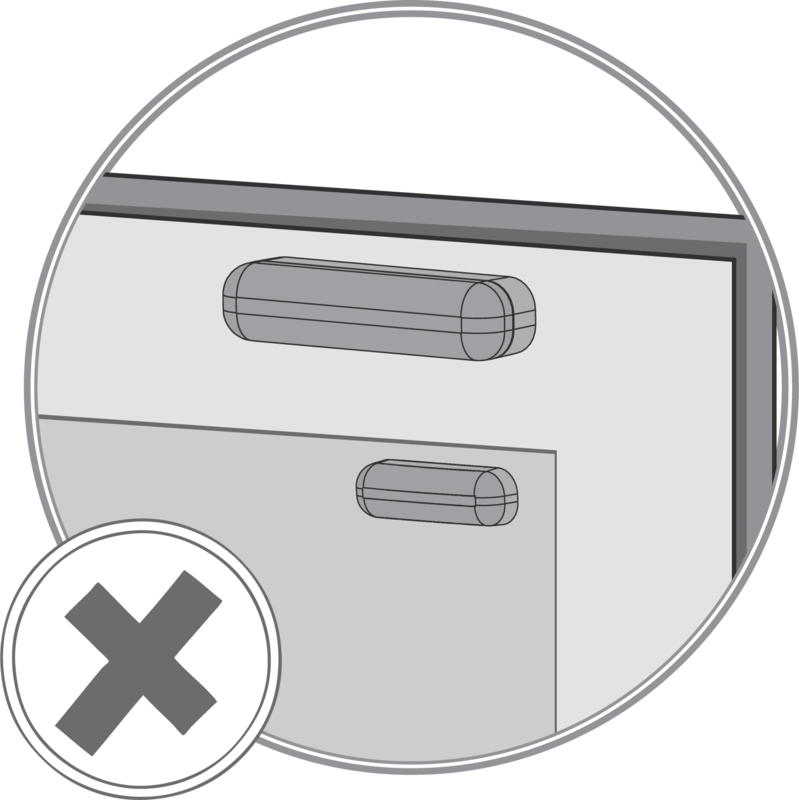 Turn on the controller in deleting mode and perform the same as during the adding procedure. Click 3 times on TMP button. Please make sure that plastic cover is closed. 11. How long does this device work on one battery? In default settings it should work up to 2 years, but it also depends on the usage. 12. Is FIBARO Door/Window Sensor waterproof? Can it be used outside? No, we do not recommend placing D/W Sensor outside.